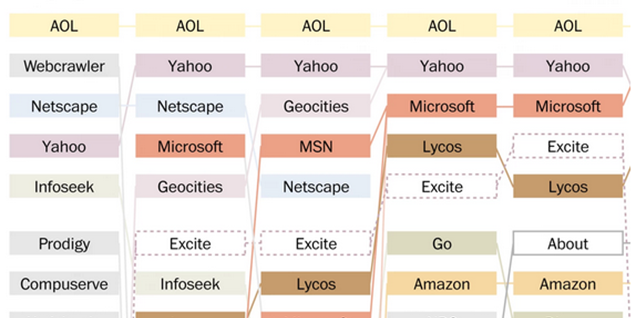 From 1996 to 2002, AOL was the most popular website on the Internet. 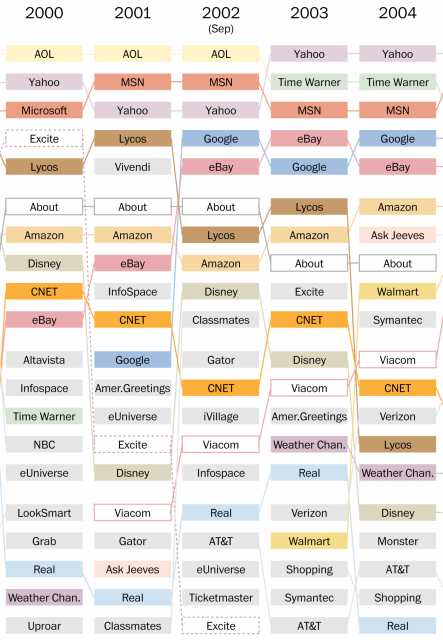 At the end of 2013, it surprisingly hadn’t fallen too far away from the top echelons of the Internet’s many websites – placing right behind Facebook in the top five. 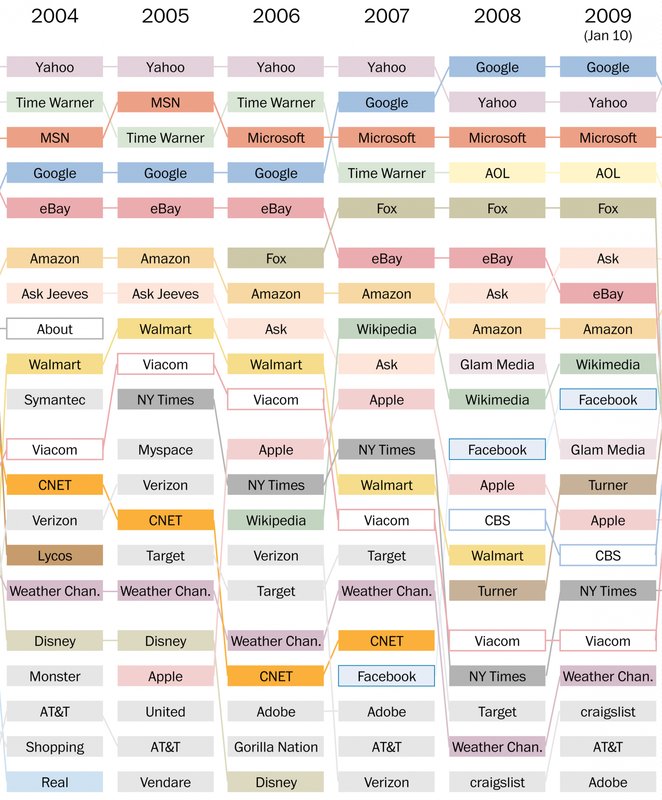 In a recent infographic published by The Washington Post, the top 20 most popular websites each year between 1996 and 2013 were ranked using data from Comscore. Color-coded and mapped out throughout the years, we get a good look at how certain websites slowly (or quickly) rose or fell in popularity. 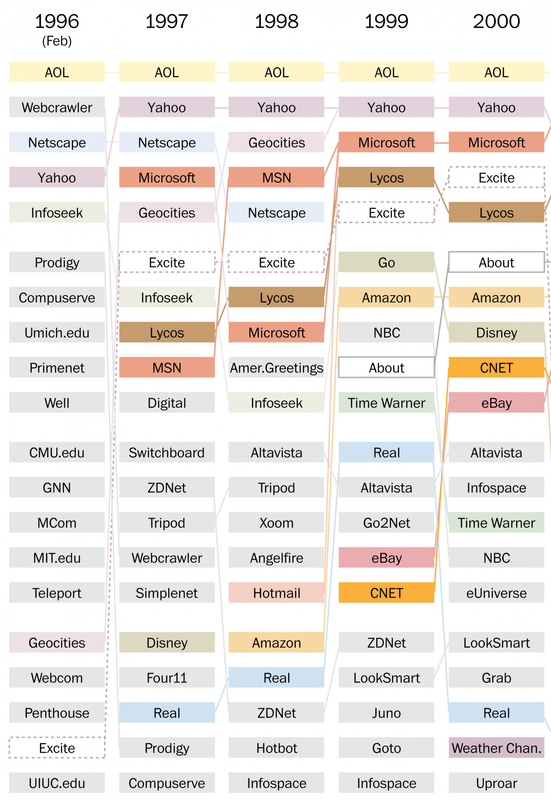 The Top Websites from 1996 to 2013 (via The Washington Post). Click to enlarge. 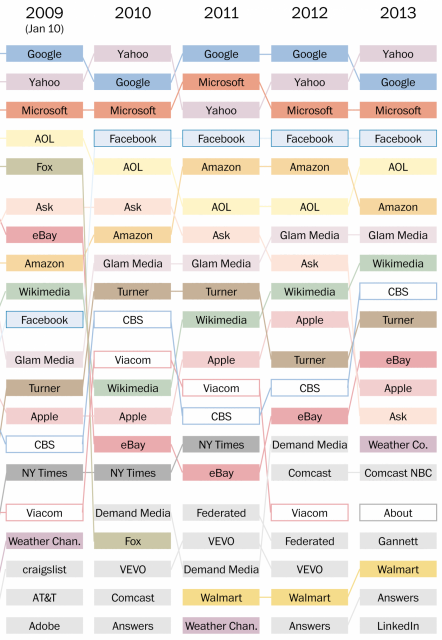 The data presented in the infographic reflects traffic to the respective listed sites per December of every year from 1996 to 2013. You can take a look at the breakdown of the data yourself, but there are some notable observations. Firstly, it’s surprising to see that Yahoo has consistently placed in the top three spots throughout the years. Secondly, from 2001 to 2002, Google jumped from mid-tier to top five; it took Facebook four years to get from bottom-tier to top five. Lastly, The New York Times website disappeared completely in 2012 and 2013 – which is indicative of the struggles of traditional media in the digital age.